Between all the different models, stores, and deals out there, choosing an e-reader might seem daunting. You just need to know what you need in an e-reader and what to consider when comparing the options available. This guide will help lead you through the most important considerations when choosing an eReader. Before you know it, you’ll be ready to buy the perfect e-reader and start enjoying your favourite books, magazines, and more in a new way. In short, it’s a device that lets you read e-books. While some might include a few extra features, such as a basic web browser or social media integration, e-readers are designed primarily to read books. You can also use apps on your tablet or phone to read e-books, but we’re focusing on dedicated e-reading devices -- such as Kobo and Kindle e-readers -- for this guide. You might ask why you’d want an e-reader since your phone or tablet can already read e-books and magazines. Unlike the LCD and OLED panels used on phones and tablets, the e-ink screens used on e-readers reduce glare, look more like printed text, are generally easier on eyes, and require little power to keep running. Since the screens don’t reflect light like LCD and OLED screens, you can read with ease in places that tablets might not work as well -- such as in direct sunlight at the beach. 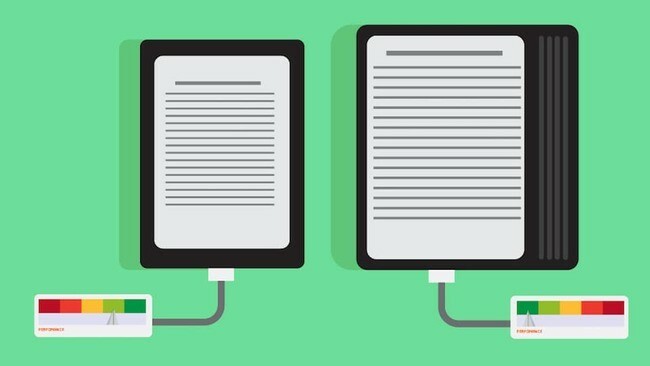 While most people accept that they must charge their phone or tablet every night, e-readers offer weeks of battery life on a single charge if you read for a few hours per day. On standby, they can last far longer. Also, unlike your phone or tablet, an e-reader doesn’t fight for your attention while trying to read. There’s no endless stream of notifications, no tempting games or social media streams, and no email rolling in and demanding your time. Much like reading a physical book, it’s all about sinking into the reading experience and enjoying yourself. While it’s not exactly like picking up a printed book, the benefits are often enough to make losing a bit of the physical book reading experience a worthwhile tradeoff. From the type of e-books you like to read to which stores you prefer to use, each aspect will influence which model of e-reader will work best for you. As with any other device, choosing the right e-reader is essential to getting the most enjoyment your purchase. Your best option for finding the ideal fit for your needs is researching options and reading reviews about the various models. We have our own e-reader comparisons and reviews available to make the research process simple. But without knowing what to look for and how e-readers might differ from one another, it is hard to figure out what you might want or need. Let's look at some of the most important considerations when choosing an e-reader. Most e-readers support a range of common formats, including plain text (TXT), PDF, and HTML. From there, it will depend on the brand of your device. But, as with a lot of products, manufacturer’s try to push you to use their stores and accessories. E-reader manufacturers do this by limiting the number of file formats your e-reader can display. 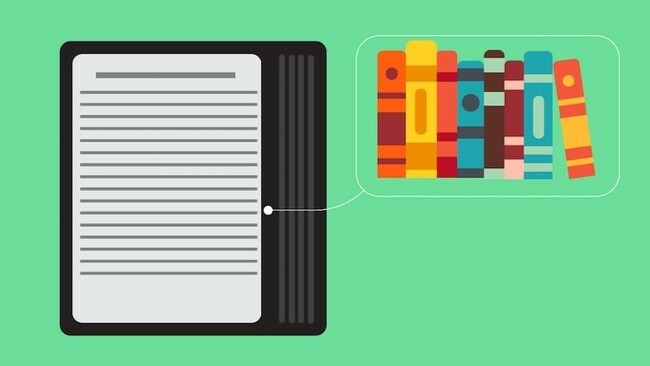 The specialized file formats your e-Reader supports will determine your reading options and the stores from which you can buy e-books. In general, Amazon is more strict about the file types you can use. But in exchange for this limitation, you gain access to the Amazon Kindle bookstore -- the largest e-book store in the world -- and rock-bottom prices. However, Kindles do not support ePub -- the standard e-book format from most other stores. This ensures Kindle owners buy Kindle books using the AZW file type. Also, Amazon will not allow other readers and stores to support AZW -- Amazon’s format -- because Amazon wants to sell Kindles and Kindle books and keep an edge on their competition. This means if you’re using the Kobo Store, Google Play Books, iBooks, or one of the other popular online e-book stores, you won’t be able to use their file types with your Kindle. If you’re using an e-reader from Kobo -- or another Amazon competitor -- you won’t be able to read books purchased from Amazon on it either. You can sometimes get around these restrictions by converting books with a little work and a few extra programs. But store options should still be one of the biggest considerations on your list as the specs for most e-readers are similar across most brands. E-readers vary greatly in price -- some are as low as the cost of a meal out with friends. Others, such as the Kindle Oasis and Kobo Forma , cost as much as a full-featured tablet. Nearly all e-readers offer basic e-book management and store options, social sharing, note taking, and dictionary features regardless of their price. But as you add other features -- such as backlights, physical buttons, or waterproofing -- the price rises. While they don’t make a huge impact on how you use your e-reader, these features often decide where you can use it. Higher prices also often mean bigger screens and more refined designs. By knowing your budget, you can immediately limit choices down to a few popular options and see which e-readers are a good fit for your needs. Most e-readers beat tablets hands down in bright light due to lack of glare. But when the light disappears, you won’t be able to read anything unless your e-reader includes a backlight. Backlights provide light that is easy on the eyes without having to turn on a lamp or clip a book light to your e-reader. The lights are embedded at the sides of the display and shine across the display instead of up into your eyes. This makes them easier to read for longer in dim environments while also helping to keep the lighting even across the display. Different manufacturers use different colored lights. And sometimes, you’ll even notice slight variations across models by the same maker. So if you’re particular about the exact temperature of your e-reader’s backlight, it might help to visit a retail store and check models in person or check reviews for the models you’re considering. Some newer models also include temperature adjustments to reduce blue light exposure. However, most of these work by combining orange LEDs and white LEDs in various combinations -- so the fine tuning options you might find on your phone, tablet, or computer displays are not available. Both Amazon and Kobo offer screens up to 8-inches. Other companies offer screens 10-inches or more. If you plan to read heavily formatted documents -- such as textbooks, magazines, or comic books -- the extra space makes smaller details easier to see and visually rich layouts display more as the editors intended. Larger screens also let you make text larger without having to flip pages every few lines. This is particularly useful for those with impaired vision. First, larger screens often mean larger overall sizes. That can make them uncomfortable to hold for longer periods and more cumbersome to tote around. Second, that means there is also more weight to deal with. If you like to get cozy in bed and read with one hand, a larger reader might be uncomfortable to hold for longer periods. Last, larger screens almost always mean higher prices. In fact, an inch or two of screen could double the price of your purchase. Reading in the bath or by the pool is nice -- until an unexpected splash ruins your e-reader. If you’re looking for stress-free enjoyment near water or plan to use your reader outdoors, consider a waterproof model. Kobo offers a few options while Amazon’s Oasis is the lone model in their lineup to add this popular feature. Regardless of which brand you choose, this will add to the price of your e-reader. However, the savings from replacing your e-reader even once due to water damage may pay for itself. Most e-Readers do not support microSD cards. Once you’ve bought your e-reader, the only option for increasing storage space is to buy a new model with more storage. This makes choosing the appropriate amount of storage important. However, Unless you read large PDFs or image-heavy documents, you don’t need as much storage as you think. Most e-books are tiny compared to the files we swap around on our phones and tablets these days. You could probably store an entire series of novels in less space than a single photo or song occupies on your phone. Also, most stores allow you to store your books in the cloud and only download them to your e-reader when you want to read them. So, unless you want to keep a massive library on your e-reader at all times or you’re away from Wi-Fi for extended periods, even a basic model likely offers enough storage for casual use. A 4GB model is the best starting point for most buyers -- especially if you’re on a budget. An 8GB model will provide more wiggle room or allow you to listen to audiobooks without worrying about storage space -- assuming your e-reader supports them. Kobo and Kindle both offer 32GB models. But, unless you’re a fan of magazines, textbooks, audiobooks, or comics, you’ll likely never need that much space at once. Most e-readers use touchscreens to control page flipping, browsing the store, or taking notes. For page flipping, the swiping motion mimics flipping a page in a physical book. You can also just tap the edge of the display to flip forwards and backwards. But if you’re trying to read with one hand, swiping or tapping while holding the e-reader can be difficult -- especially on larger e-readers. Some high-end models provide page turning buttons and other physical controls that make one-handed use simpler. But this consideration is mostly about preference. Most e-Readers offer Wi-Fi and USB connectivity to transfer books or backup notes and highlights. While it won’t make a difference during reading in most cases, your connectivity options will determine what you need to do to get new books on your device or look up information about what you’re reading. Amazon’s Kindle series allows you to add 3G/4G connectivity to some of their models. They call the feature WhisperSync. It’s available worldwide, but use outside the US might result in fees depending on what you are downloading to your Kindle. 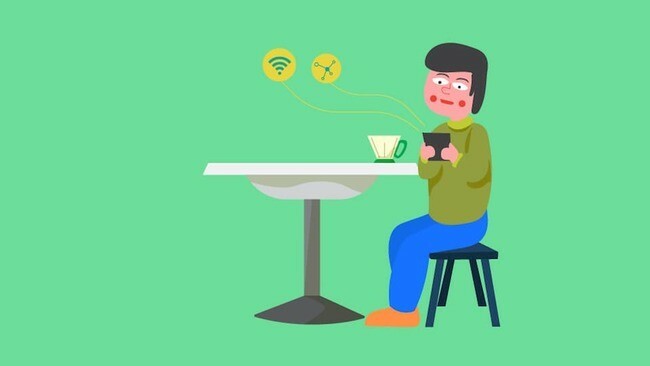 It’s a convenient feature if you won’t be near Wi-Fi, but with free Wi-Fi available in more places, it’s not as useful as it was when the feature debuted years ago. Besides, you can always plan ahead and load up a few books when you know you’ll be away from Wi-Fi coverage. This can save money on the purchase price of your e-reader. Displaying e-books or basic mobile bookstore doesn’t require a lot of processing power. You’ll see respectable performance from most any e-reader from a major manufacturer. However, high-end models come out of standby quicker and turn pages slightly faster. While these considerations are not deal-breakers in most cases, minor delays can add up over years of ownership. Screen resolution determines how clear text looks on an e-reader. It’s measured in pixels-per-inch or PPI. The more PPI, the better. The only time resolution is a major consideration is when choosing between entry-level e-readers or models from lesser-known brands. In general, you’ll want at least 200PPI -- although most models now use screens with resolutions of 300 pixels-per-inch or higher. Even the larger screen models tend to have higher resolutions to ensure a 300PPI rating. That’s more than enough for most types of reading. Especially when you consider the fact that e-Ink screens are monochrome, which makes visual content -- such as illustrations or complex images -- less compelling anyway. Don’t let fancy screen technology names fool you into spending more than you might need to either... The models you’re comparing likely feature the same 300PPI. This depends on both what you like to read and if you need any advanced features -- such as waterproofing, physical page turning buttons, or 3G/4G connectivity. For most, a Kindle Paperwhite or Kobo Clara HD are excellent options. They feature high-quality displays, backlights, access to a range of books on their respective stores, and battery life that will keep you flipping pages for weeks without needing to find a charge. You can also check our recommendations for more options. e-Readers vs. Tablets: Should I Just Buy a Tablet Instead? This largely depends on how long you typically read for in a single sitting and what you like to read. Budget tablets, such as the Kindle Fire 7 , are cheaper than all but the cheapest e-readers. If you’re not sure, this handy quiz from E-Book Friendly can help tally the pros and cons of each for you as well. Are There e-Readers with Color Screens? While companies have tested color e-ink displays in the past, the technology has yet to become popular. The technology is getting closer to reality. But if you want full-colour displays, you’re left with tablets using LCD or OLED displays for now. How Do You Get Books onto an e-Reader? Both are straightforward and, in most cases, only take a few seconds. The exact formats supported varies by device -- though most e-readers will allow you to read PDFs. However, keep in mind that how the device your PDFs might vary. Most e-readers will display the full page on the screen. If you have a smaller e-reader, this might require you to zoom and scroll to read smaller details or print. If you’re planning to read PDFs often, we recommend either a larger e-reader with a 7- or 8-inch display for the best experience. What Other File Formats Can I Read? This depends on the e-reader you choose. If you have an e-reader from a manufacturer other than Amazon, you won’t have access to AZW files as those are exclusive to Amazon. If you have an Amazon Kindle device , you won’t be able to read ePub files without converting them first. Otherwise, you’ll likely find support for a range of file formats, including DOC, DOCX, TXT, RTF, HTML, PDF, and popular image formats -- such as JPG, GIF, and PNG. You can check the “Specs” tab of our e-Reader reviews to see a list of the exact files supported by the device. Can I Read e-Books on Other Devices? Yes. E-books are simply well-formatted websites. Most e-books are like HTML files in many ways. This means that with the right app or software, you can read e-books on everything from your smartphone to your desktop computer. There are even e-book readers for some handheld gaming consoles and other more obscure devices. Most major e-book stores also offer mobile apps and computer software to make it easy to access books you purchase on a range of devices. Are e-Ink Displays Really Like Paper? The displays actually use tiny droplets of ink and rearrange each time the page refreshes to set the dark and light areas of the page. Once the droplets (or pixels) get small enough, they can create text as crisp -- and possibly crisper -- than text printed on traditional paper. The screen is also designed to reduce glare. So instead of seeing a reflection of every light above or behind you -- as you would experience on a tablet -- the light is diffused and glare is eliminated. This mimics a paper experience. Lastly, most e-Ink displays are slightly textured. This mimics the physical experience of reading on paper. Instead of a slick, slippery surface, when you brush across an e-reader to flip pages, you’re met with a slightly gritty resistance, much like you would when flipping a paper page. Saying that e-Ink is identical to traditional printed paper would be an overstatement, but it is definitely paper-like. If you’re curious about the technology behind e-Ink, you can read more about it at Wired . What’s Better: a Kobo or a Kindle? This is largely a matter of preference -- and possibly your location. For many, the Kindle series offers everything they could want. Owning a Kindle means access to the Kindle store and Amazon’s programs, such as Kindle Unlimited and Audible support -- though Audible is only available on select Kindle devices. All of this available at low Amazon prices. But they limit many of these perks to the US -- including access to the Amazon retail locations slowly popping up across the country. For the rest of the world, Kobo offers a feature set that rivals the trimmed down options from Amazon. Moreso, you can walk into a store and see one before buying thanks to partnerships with major retailers in countries around the world . Both brands are very similar in terms of pricing and hardware. Kobo’s hardware is slightly ahead in terms of refinement and features, but Amazon’s software offers easier access to additional information about books and the expansive Amazon Kindle store. You’ll get a compelling experience from both brands. It’s just a matter of what you’re looking for. If you’d prefer to see how individual e-reader options from both brands match up, check out our Kindle vs. Kobo guide . Do I Need the 3G/4G Wireless option? If you spend a lot of time in areas without Wi-Fi, 3G/4G connectivity is convenient. However, since most e-readers do not support apps or other advanced features, it’s not like you can use it to check your email or send messages to friends. It’s strictly for downloading books from the store on your device or looking up words on Wikipedia or other external sources. If you take the time to load a few books on your e-reader before your big trip -- or know where to find free public Wi-Fi in your area -- you can likely get by without 3G/4G connectivity. That said, the increase in price for 3G/4G connectivity is often low enough to justify the upgrade if your budget allows. You never know when you might find yourself at the end of a book by surprise or spend a few more days away than you’d originally planned. It’s just not a necessity for most buyers. Can an e-Reader Play Audiobooks or Music? This depends on the model you’re considering. These days, the feature is rare. Most e-readers that support audiobooks have ditched a speaker and headphone jack, opting to use Bluetooth instead. So you might not be able to use your favorite headphones . You also have to consider size. While e-readers are not particularly heavy, they’re also not pocket-friendly. Listening to audiobooks while on the go using an e-reader might not be ideal. If you’re looking to listen to audiobooks or music, your phone or a small tablet is likely a better option. They’ll provide more apps and stores from which to source things to listen to and greater playback flexibility. Most models have a lot in common with their competition. By knowing what features you need -- and which are just adding to the price of your e-reader options -- you can find a perfect balance of value and utility. We hope this guide helps you dive into your favourite books and explore new worlds. If we helped you decide -- or if you have a friend who might find this guide helpful -- please share it with them. 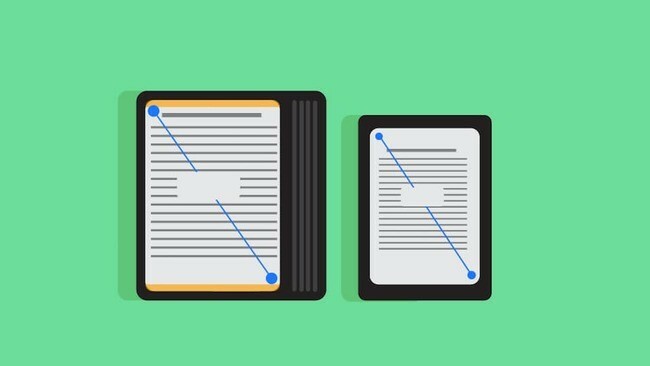 This guide should have helped you understand the important considerations when comparing e-readers. If you know what features you want in an e-reader and are ready to pick the perfect model for you, visit our reviews to see what everyone is saying about the latest e-reader releases. We also have a Kindle vs Kobo Comparison Guide which pits popular models from both big brands in a head-to-head comparison of important specs and features. If you think an Amazon Kindle is right for you but are unsure which model to choose, our Kindle Comparison Guide can help you decide. Looking for the latest and best options without all the comparisons? Our Best e-Readers and Kindles Guide has you covered. Looking for the best eReader? Choice : E-book Reader Buying Guide: Everything You Need to Know before Buying an E-reader.